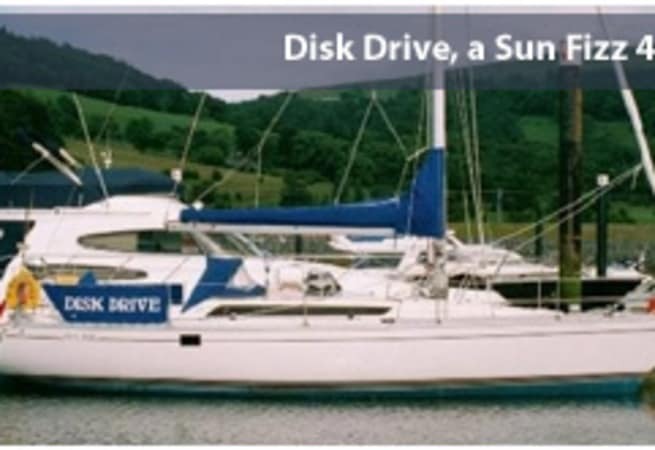 Disk Drive is a Jeanneau Sun Fizz 40 she is coded for 8 with a versatile layout which offers a very flexible combination of sleeping berths with ample storage bins and lockers. 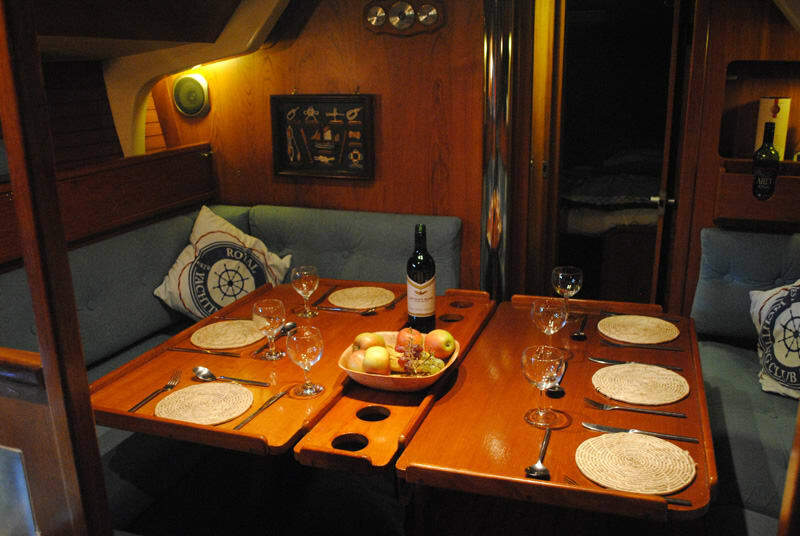 Accommodation comprises of 3 double cabins, plus a double and single or two separate single berths in the main saloon. 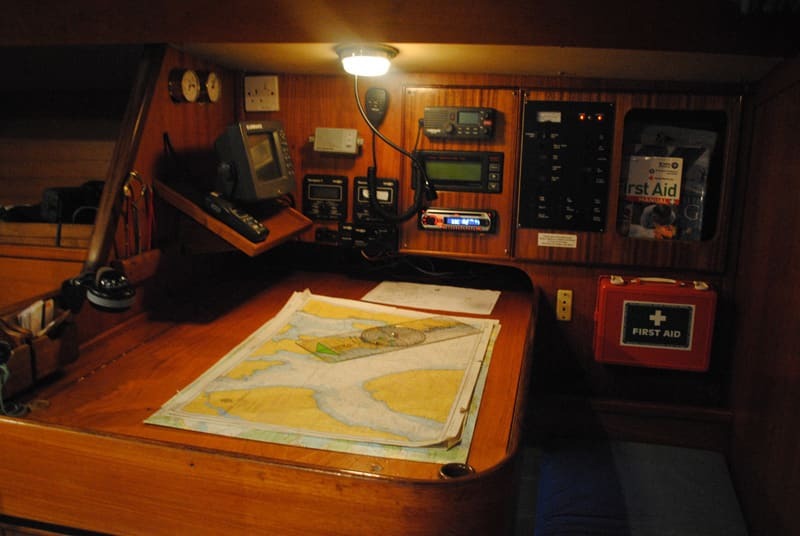 This can provide up to 7 single berths if the additional saloon sea berths are used. 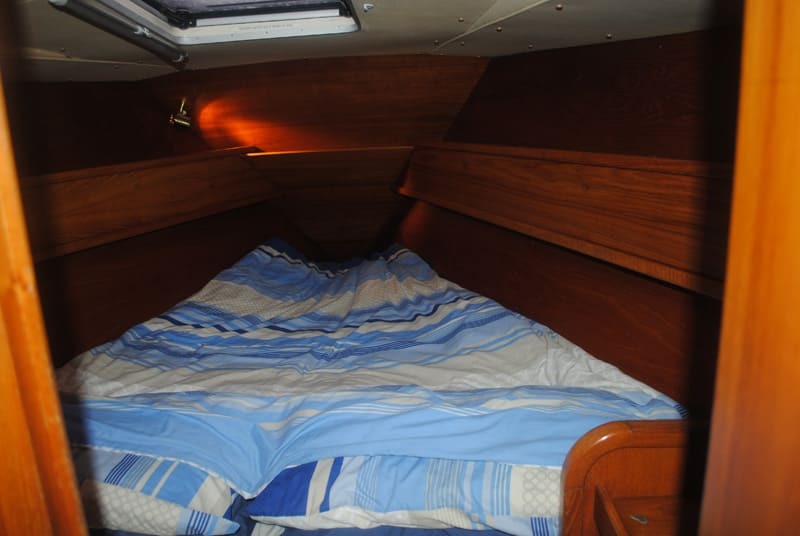 Equipped with 2 heads, one with shower which can be en-suite to the master cabin. 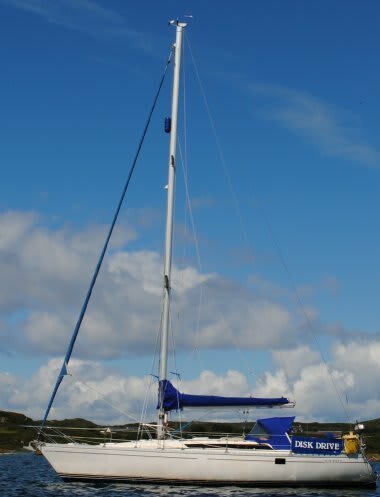 Based in Largs Yacht Haven and equipped with fully programmable Eberspacher hydronic central heating Disk Drive is a good choice for early and late season cruising in the sheltered waters of the Clyde. Hot water is provided from the engine, shore power and Eberspacher. 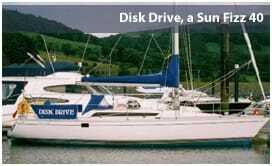 Please note Disk Drive is only available for skippered charters.